Purpose and use: Educate consumers with this plain language PDF. You can put it on your website or print out copies to distribute. 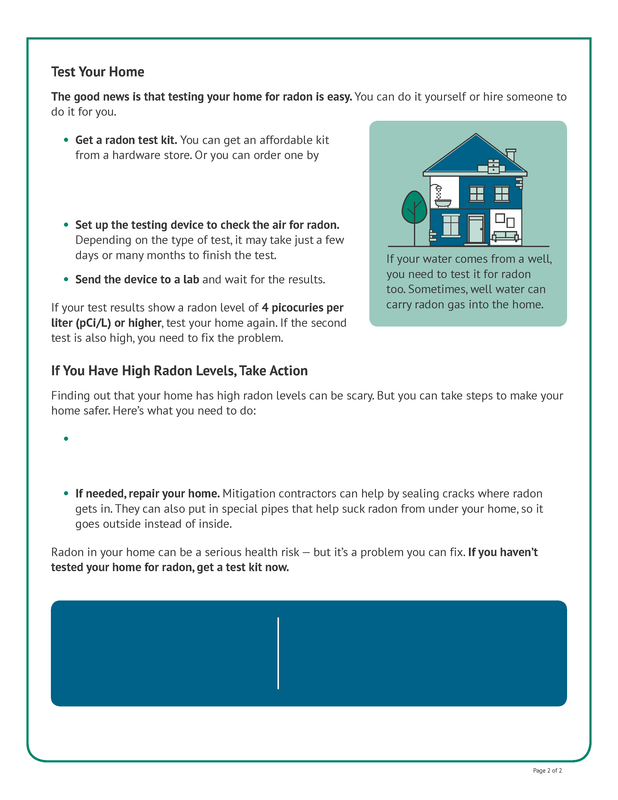 Edit the following fields to add in local information about how and where to get a test kit in your state — but keep in mind that 800-SOS-RADON will connect users with your state’s radon office. Upload your organization's logo and contact information (jpg, png, or gif image): Image will be resized to fit into a 3.68 inch wide by 1.38 inch tall box. High radon levels can be a risk anywhere in any state. Both old homes and new homes can have radon problems. So can homes with basements and homes without them. And 2 houses right next-door to each other could have very different radon levels. 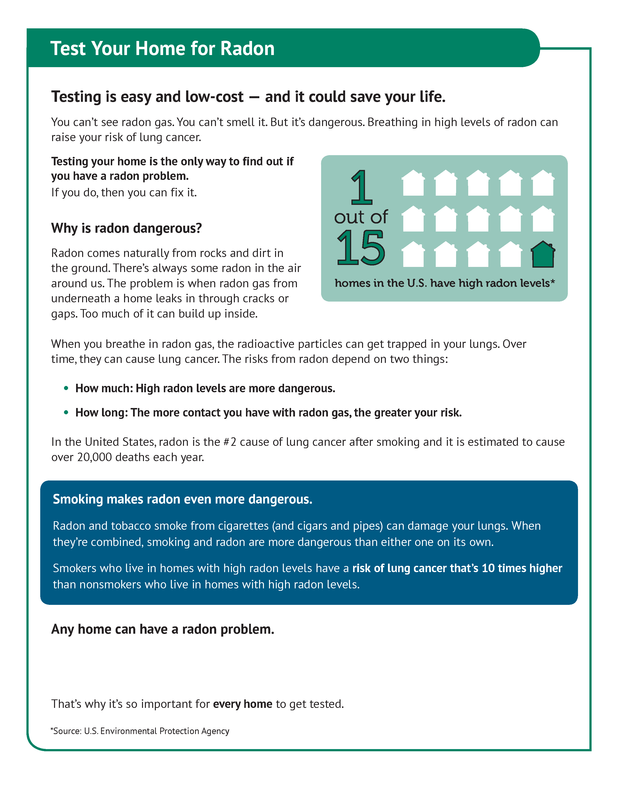 Contact your state radon office to get the name of a local expert who can give advice. You can fix some radon problems with simple low- or no-cost solutions. For bigger radon problems, you need a specialist — called a mitigation contractor — to fix your home.